Maharashtra Chief Minister Devendra Fadnavis has had another narrow escape when he was travelling in a helicopter today. MUMBAI: Maharashtra chief minister Devendra Fadnavis had a close shave yet again Friday afternoon as the helicopter he was about to board suddenly took off and tilted, bringing the rotor blades rather too close. An alert security guard pulled Fadnavis to safety. 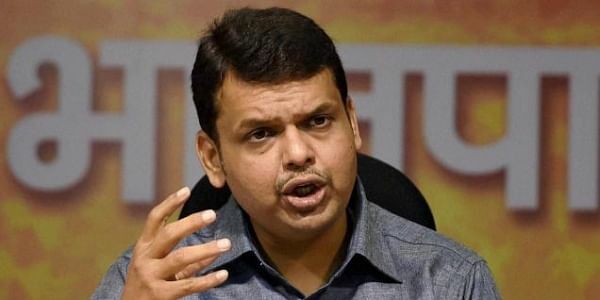 Fadnavis had gone to Alibaug in Raigad district to participate in the birthday celebrations of MLC Jayant Patil of the Peasents and Workers' Party (PWP). After attending a couple of engagements, the chief minister reached the helipad at JSW JSW’s Dolvi-Dharamtar port at around 2 pm to board his copter back to Mumbai. Patil was there to say goodbye. He said it was a near miss. “As Fadnavis was about to board the helicopter, it suddenly lifted off by a couple of feet and Fadnavis was caught unawares,” he said. Raigad collector P Malikner confirmed that it was a close call. Officials said it was normal practice to keep the rotors turning when a VIP is about to board. This was the second lucky escape for Fadnavis involving his helicopter. On May 25, the chopper cut into high-tension cables immediately after takeoff with the chief minister on board at Nilanga in Marathwada. Read the full report and watch video of the incident here. “Lord Vitthal saved me,” Fadnavis said earlier this week remembering that incident.